BPGraphics' Values | Our Partners’ Success is Our Success. It’s all about our people. We each play a vital role in moving graphic solutions forward, from concept to completion. How we interact with one another during the process matters just as much as what we produce. The BPGraphics Experience is about people becoming partners. Partners: noun \ˈpärt-ner also ˈpärd-ner\ – Customers, Employees and Vendors working together. Our partners’ success is our success. We strive to build exceptional value into everything we do, guided by our core values: integrity in our relationships, creating solutions, embracing change, working smart and celebrating together, while respecting our environment. • Integrity – Our relationships are based on respect, honesty and fairness. We deliver what we promise, striving to make each interaction a positive experience. A culture of friendliness, caring and “lending a hand” allows us to do the right thing for one another. • Creating solutions – Initiative, teamwork and a “can do” attitude make the impossible possible. We are a trusted resource, collaborating with our partners to find the best solution for every project. We are motivated by new opportunities and exciting challenges. • Working smart – We inspire confidence by being responsible, organized and self-motivated. Good judgment leads to good decision making and we recognize that clear communication, quick responses and attention to the smallest details matter. • Embracing change – We are dynamic and engaged, moving forward with a purpose. Investment in technology and people fuels our growth and we challenge the status quo in the interest of improvement. Flexibility and an open mind is the key to meeting our partners’ evolving needs. • Celebrating together – We cheer for our partners’ success and recognize their accomplishments. 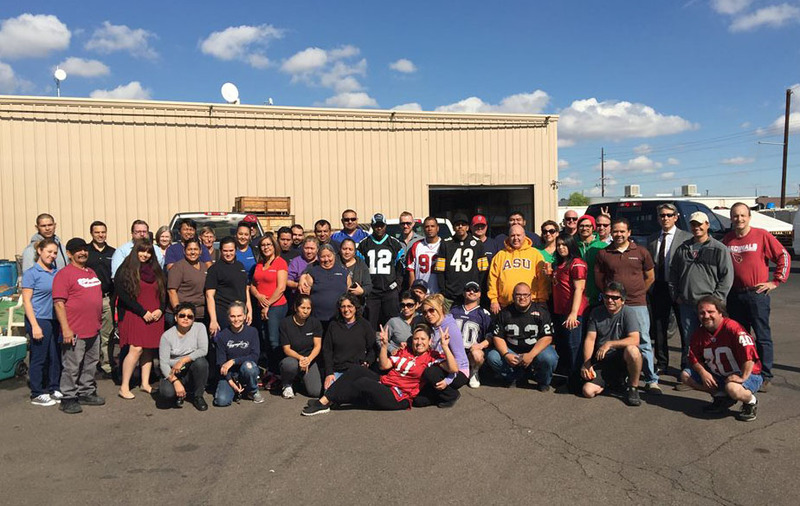 We look for ways to build camaraderie in a fun and rewarding environment where everyone feels they are a valuable member of the BPGraphics’ family. • Respecting our environment – Our desire to protect our human and natural resources influences the way we operate. We strive to implement processes that minimize our footprint on the environment and provide for a safe workplace.